How Do You Know if You Tore Your Patella Tendon? “I heard it pop,” Deondre Francois, rising star Quarterback for the Florida State Seminoles said when describing the injury. Out for the season. These words are feared by athletes across the country and Patella tendon ruptures are a major reason for that. But it’s not just professional athletes that suffer the injury. When orthopedic surgeon Bashir Zikria challenged a group of twenty-somethings to a basketball dunking contest he slipped and fell. Just like Francois he felt the “pop” and knew exactly what he’d done: patella tendon rupture. Here we take a look at what a patella tendon is and how you would know if it’s torn. The patella tendon is a piece of the ligament that attaches bone to bone. These bones are the patella (also known as your kneecap) and the tibia (your shinbone). The patella then connects to the quadriceps muscles of your upper leg via the quadriceps tendon. A rupture of this (the patella tendon) can be partial (a partial patellar tendon tear) or complete. Recovery and treatment will vary, dependent on how bad the tear is. How do you know it’s torn? Doctors will want to know: “how did you do this?”. They aren’t just making small talk when they ask, the movement a patient was performing when it happened is crucial. Top doctors suggest that the injury happens when you make a quick strong contraction of the quadriceps muscles. This is common when landing after a jump. Tendon injuries are usually acute, so they often happen in a split second and don’t come on over days or weeks. They tend to occur in athletes and other people who are involved in a physical activity like sport. Both Deondre Francois and Bashir Zikira heard a loud ‘POP’ when they tore their patella tendons. This is very common. In some instances, the surrounding joint capsule may tear and bleed into the joint. This can lead to the knee becoming very swollen, almost immediately (within an hour). 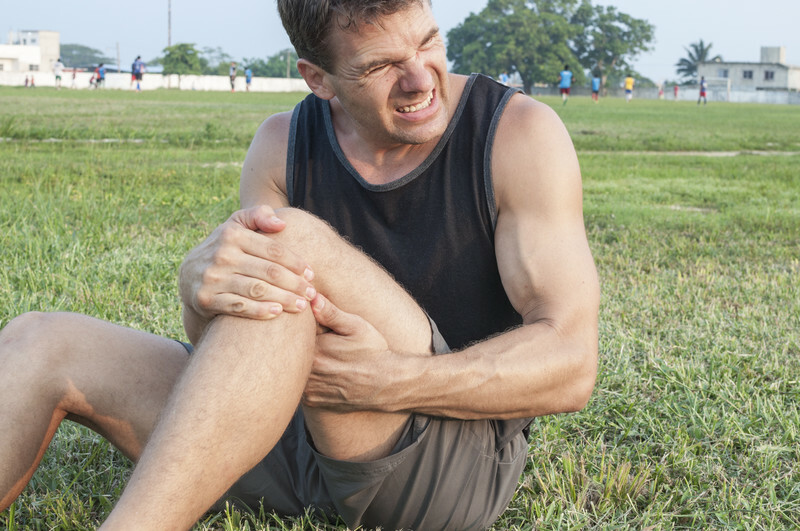 In a partial patellar tendon tear, patients are often unable to extend their knee. By this, doctor’s mean you cannot straighten the knee from a flexed (or bent) position. In a total or complete tear, the patients will be unable to maintain any sort of straight leg. When they are lying down on their back they are totally unable to lift the leg up from the examining couch. This might not be specific to a patella tendon rupture but it’s an important symptom. However, it is important to note many patients experience no more pain than if they have sprained a muscle. When the FSU QB Deondre tore his patella recently he recalled he hoped it “was just a sprain or something”. Patients that have any of the above symptoms, or suspect they may have a patella tendon rupture, should seek medical advice promptly. Treatment can include reparative surgery or newer exciting techniques like ultrasound guided injections of stem cells, depending on the clinic.